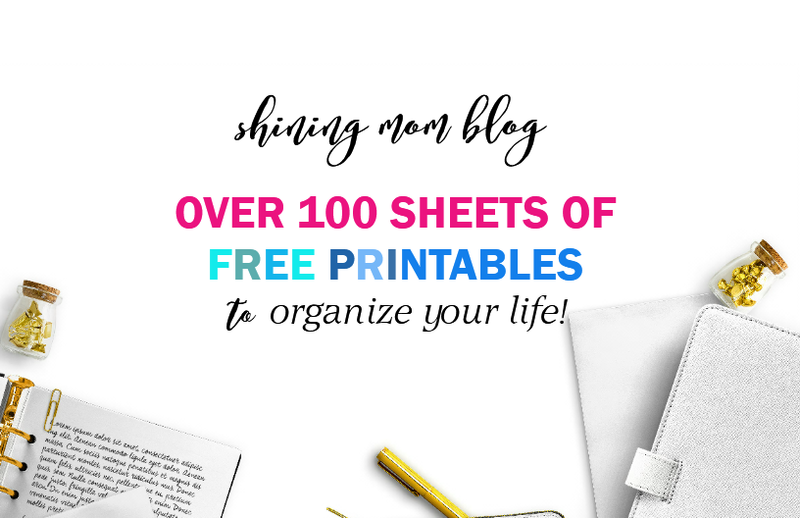 Over 100 Free Printables to Organize Your Life in 2017! You’ve probably had a glimpse of the new freebies I have shared for this year but I am pretty sure you didn’t quite view all of them yet! 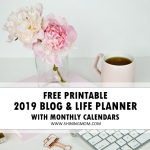 Did you know that I have already published over a hundred sheets of free printables to organize your life in 2017, to keep your year blissful and productive? 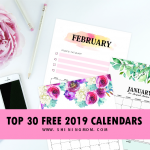 And because I want you to catch all the previously released printable planners, calendars and organizers I created for you, I am writing this index post to serve as your guide! Before I roll out the list, let me just share that I am so happy and thankful that several of the free printable organizers I’ve shared are trending in Pinterest these days. Like the goal setting worksheets I’ve released a few days ago. I couldn’t believe that it has now reached 4,900 pins (and rapidly counting) in such a short span of time! This also runs the same with my the Design a Life You Love planner and the editable calendars! But aside from these trending posts, I also have several more printables (that are equally pretty and functional) awaiting to be discovered. To help you find them, here are the links to the free printables. Be sure not to miss any. Okay? 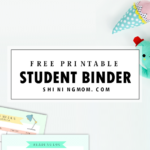 These over 100 sheets of free printables are ALL absolutely FREE to download and use! 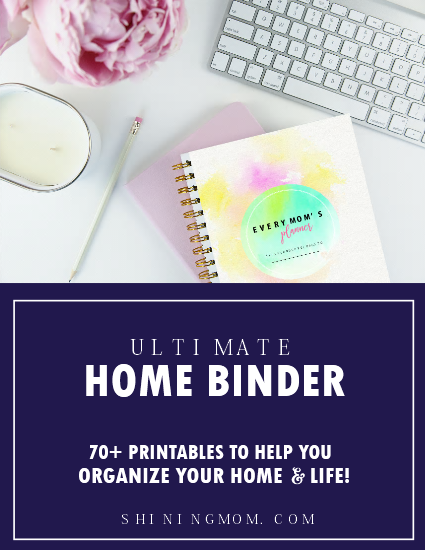 The first one in this list is a nifty budget binder. Having a hard time managing your finances? 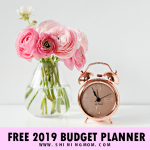 Well then, be sure to snag a copy of Shining Mom’s free Budget Binder. This nifty binder will definitely help you put your finances in order! I am pretty sure you have already written your goals for the year 2017 by now. But if you’ve just scribbled them in your planner and would like to rewrite them in prettier pages so you can bind them nicely, you will need to get this next freebie. Clean and dainty, Shining Mom’s goal-setting worksheets come complete for all the months of the year! Again, this is free! 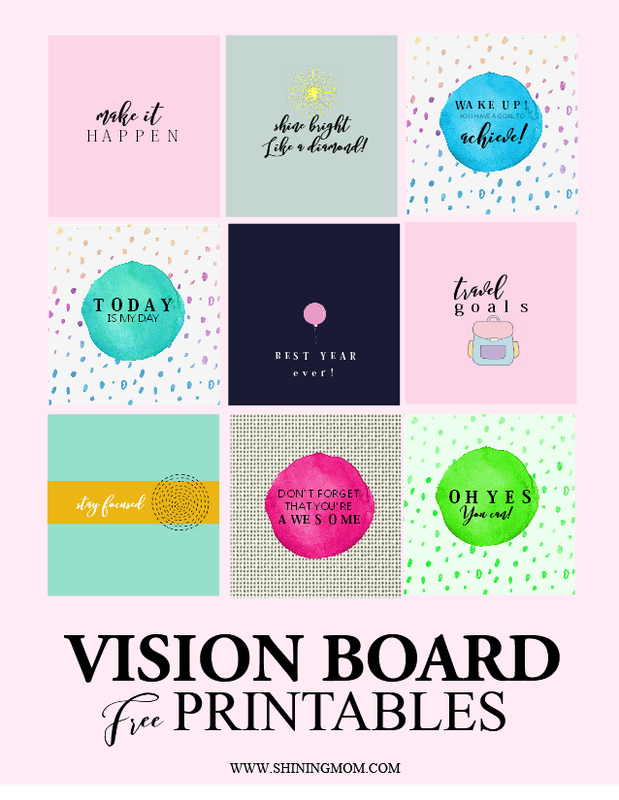 Add all things pretty to your vision board! This next freebie is little gift for you that is sure to add sparkle to it; intentionally created by yours truly to inspire all of us to keep moving towards our dreams! This next freebie is one of the most popular pages on the blog these days! Shining Mom’s Design a Life You Love 2017 Planner is no doubt to be the readers’ favorite. 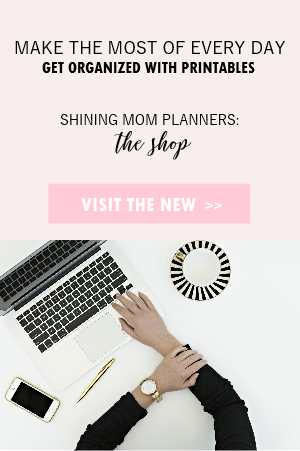 Because I believe that each of you have your own way to make your planner work for you, this planner gives you the flexibility of your time! Be sure to snag a copy if this free printable to organize your life in 2017! 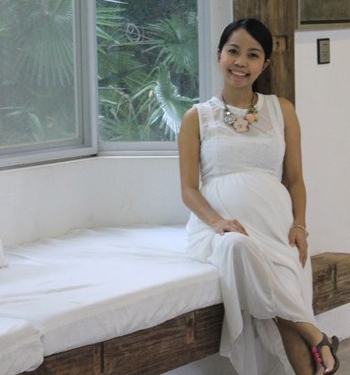 Do you want to organize your days on a weekly basis? 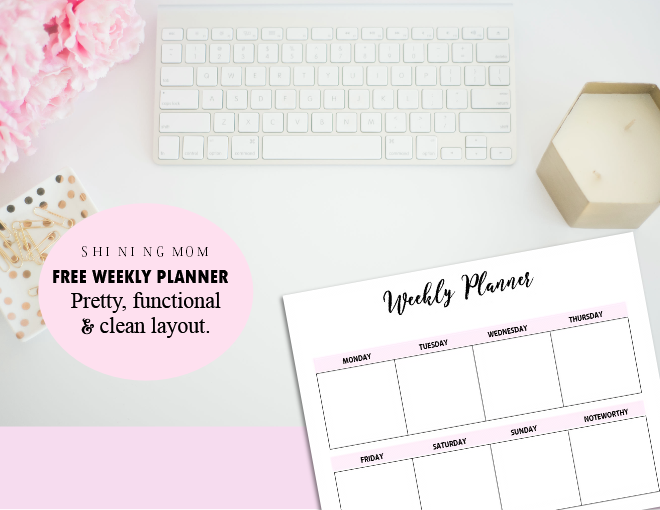 Grab your copy of this ultimate set of free weekly planners! 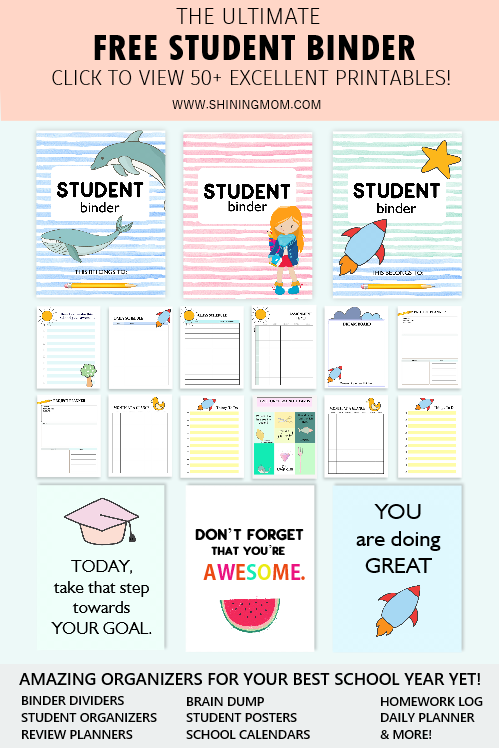 These are my favorites printables and I use them regularly! 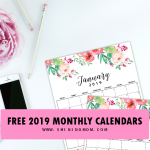 Moving on, the next free printables to organize your life in 2017 that I am listing is a set of calendars, the latest freebie released on the blog. This set has a very clean and simple look with a little dab of illustration per page to adorn it. Should you like a calendar planner that is pretty and dainty with good room for you to write your notes, you’ll love to print this set! The Classic Shining Mom Calendar: Pretty and Colorful! It’s actually my first time to call this set as the “Classic Shining Mom Calendars”! Why such name? This has been the very first calendar design released on the blog 5 years ago and has been warmly embraced by several thousands of you. This actually inspired me to start creating more and more printables! 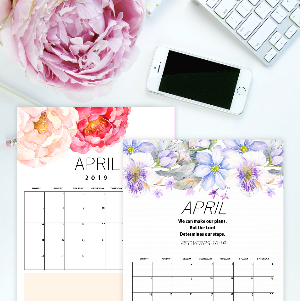 For your next free printable, since it’s quite hard to find calendars in Word template these days, especially is you’re looking for an editable on, I created one for you? Fall in love with the minimalist monthly calendars I’ve previously shared. This next free printable is one of the top posts on the blog these days! Additionally, here’s another set of free printable 2017 calendar that you can print and use outright. This is the very first monthly calendar set that I have shared this year, and it’s absolutely darling, I must say! Each monthly calendar page comes bright, bold and beautiful. Have you downloaded your copy yet? I wrote a call-to-action post if my readers wanted a dated version if the popular Mininimalist Calendars in Word that I have shared. Surprisingly, I have received numerous requests, even tripled the minimum requirement for me to create a dated copy! Hop over the link to see the dated version of the said calendar! 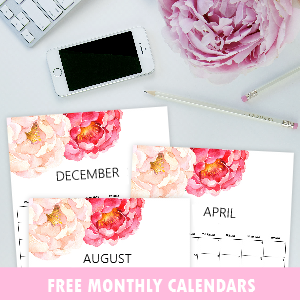 The final free printable to help you organize your life in 2017 is a cute monthlyy calendar! 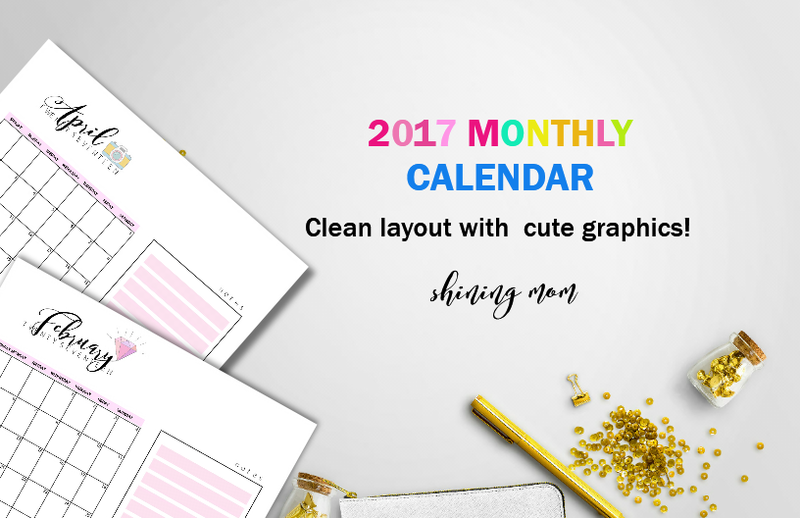 So, if you want to add some cuteness to your daily planning, you should view Shining Mom’s cutest calendars ever! Each calendar planner for all the months of the year is uniquely designed with cute patterns and illustrations! So fun to use! Great for kids and adults alike! 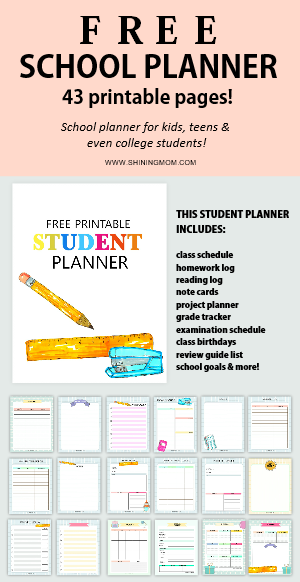 Over 100 sheets of free printables to help you organize your life in 2017! I shall be adding more to this list, that’s for sure. I have several other free printables on queue to help you organize your life in 2017! 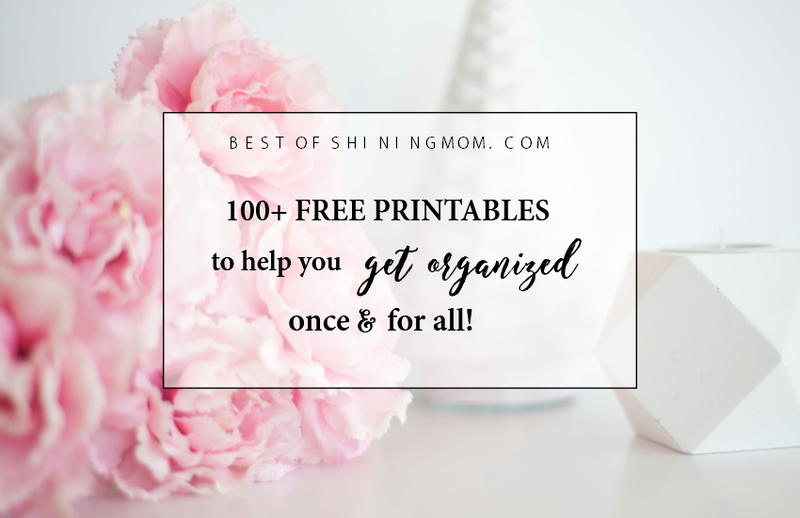 Mark this very spot as your go-to place for best of Shining Mom’s free printable goodness for this year! Let’s all have a blessed and bountiful 2017!